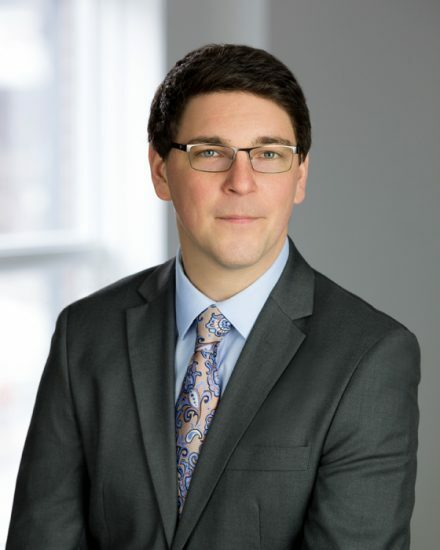 James is an Associate Attorney With Dolenga & Dolenga, PLLC. He focuses his practice on personal injury, consumer, commercial, and medical malpractice litigation. He is also active in the firm’s litigation prevention, business consulting, and ADR practice. While in law school, James worked as a law clerk for our firm. Through that, he developed outstanding legal, factual, and medical research skills. After graduating from law school he worked with a couple of firms to further hone his skills in research and drafting before returning to Dolenga & Dolenga in 2018. James assists the other attorneys in our firm with many of the litigation matters that we handle, litigation prevention, and risk management/ADR issues. James is also an active member of the Oakland County Bar Association, including working on the Providing Legal Access to Legal Services committee. He also volunteers his time to assist individuals with a variety of legal needs on a pro bono basis, including working with the Common Ground Legal Aid Clinic. © 2019 Dolenga & Dolenga, PLLC. All Rights Reserved.